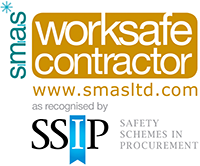 We have an excellent reputation for high quality work using reliable electricians at competitive prices. Russell Beard, MD at Barrie Beard Ltd added “We are so incredibly proud of Jimmy, Mark, Matt, Nick, Sarah & Tom. All six high flyers were supported by their friends, family and work colleagues to raise £3,500.00 for Primrose Hospice in Bromsgrove. We are also planning a Team Barrie Beard 3 Peaks Challenge on 29th June 2019 and monies raised will go to 3 charities Primrose Hospice, Sands (Stillbirth & neonatal death charity) & Target Ovarian Cancer. 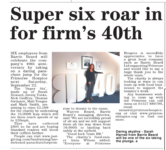 All three charities have an emotional connection to some of our employees and as a company, we want to show our support to them by taking on this next challenge, with a warm up ‘Wolf Run’ at the start of June too!” (Click below for news article from the Bromsgrove & Redditch Standard). 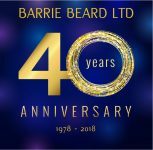 Sarah Harrod / Tom Gwinnett / Matt Tongue / Mark Smith / Jimmy Tonks / Nick Godfrey who took part in the Barrie Beard Parachute for Primrose charity event, and also to everyone who donated money for this worthy cause. Look out for this photo in the local newspapers soon! Well done to NICK GODFREY / TOM GWINNETT / SARAH HARROD / MARK SMITH / MATT TONGUE / JIMMY TONKS. 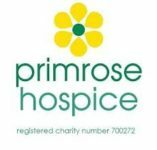 On Friday 28th September 2018, six of our very own brave employees raised a huge amount of money for the Primrose Hospice in Bromsgrove by Parachuting for Primrose. After the first jump was cancelled on Saturday 22.9.18 due to poor weather conditions, we all arrived back at Hinton Airfield on Friday 28th September 2018 at the allotted time of 9am. It was a beautifully sunny day and, although nervous, they all had the experience of their lives by free-falling from 13,000 feet in blue skies. They all landed perfectly and were buzzing to do it again! Well done to each and every one of you, you have all raised money for a great cause and the Hospice will benefit greatly from all of your sponsorship donations. DUE TO POOR WEATHER ON SATURDAY 22ND SEPTEMBER – THE PARACHUTE JUMP HAS BEEN RESCHEDULED TO FRIDAY 28TH SEPTEMBER. LETS HOPE FOR BETTER WEATHER THIS TIME AROUND!! On Saturday 22nd September the Barrie Beard Brave Six were all geared up to go, but unfortunately when poor weather conditions at 13,000 feet put a damper on proceedings the jump it had to be re-scheduled. The agreed new date is Friday 28th September 2018. Not long to go now until our Super Six brave Barrie Beard staff will roar out of an aeroplane in the hope of raising lots of money for The Primrose Hospice in Bromsgrove. Good Luck to you all and we’ll see you back safely on dry land. There’s still time to sponsor them!! Double click to enlarge pictures.